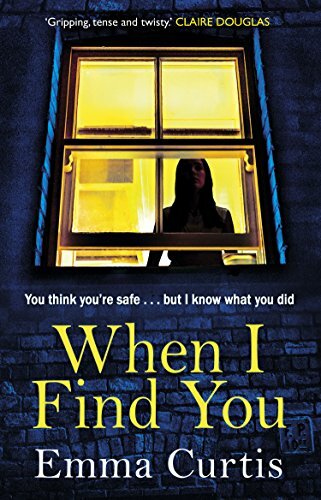 To celebrate the paperback publication of When I Find You by Emma Curtis, I’m giving away one paperback copy of her new book. To enter the competition please leave a comment below saying why you want to read this book. I’m afraid the competition is open to UK entries only. The competition will end on Friday, 10th August 2018 at midnight and one winner will be drawn at random. If you would like to find out more about the book please take a look at the blurb below. Good luck! I’d like to read it as it’s different from my usual genre but sounds interesting. Ooo fab giveaway! I’ve never read a book where the main protagonist has face-blindness – I’m intrigued to, hopefully, learn a bit about what it’s like to live with such a condition, but also excited because it’s a great way to create tension for the reader! Sounds intriguing, I’ve heard of face blindness before but never actually read a book about it! I would love to read this, I enjoy a good thriller, and your review was great. Claire Douglas also recommended this, so it must be good! She is my ultimate favourite author! Congratulations you have one a copy of When I Find You. Could you please email your address to hookedfrompageone@gmail.com and I will get your prize in the post. Thank you for entering. i would love to own this book. My idea of heaven .The review had the wow factor. I have read hundreds of thrillers but not one that involves colour blindness. This looks original, which makes a change. Hope I’m lucky enough to win. This looks like my sort of treat. Have been meaning to read Emma. Love a good thriller.